What a great looking truck! I'm going to have a look at some more of your works. I'm a car guy too. 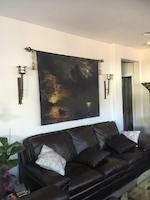 Please have a look at some of my paintings. 1937 Ford Truck at Grantsville Utah Car Show.